Heartlander Jenn Bailey joins Angelella Editorial! Congratulations to Heartlander Jenn Bailey who recently received the Alumni Gift Award from Vermont College of Fine Arts! Hearty congratulations to Heartlander Barb Stuber for winning the 2015 American Association of University Women’s Thorpe Menn Literary Excellence Award for her novel GIRL IN REVERSE! Congratulations to HWKT’s Bridget Heos! Her book MUSTACHE BABY won the 2014 Missouri Building Block Picture Book Award! Congratulations x 3 to Sue Lowell Gallion! Congratulations are in order for Sue Lowell Gallion! Sue’s PUG AND PIG won the 2013 Sue Alexander Most Promising New Work Award at the SCBWI-LA conference. In addition to that good news, Sue also announced the sale of PUG AND PIG to Allyn Johnston at Beach Lane Books, an imprint of Simon & Schuster. And last, but not least, Sue will now be represented by Karen Grencik of Red Fox Literary! Congratulations to Anola Pickett and Wyatt Townley! These Heartlanders are finalists for the Thorpe Menn Award for Literary Excellence, sponsored by the Kansas City Branch of the American Association of University Women. The award recognizes excellence in writing by local authors. Pickett’s middle grade historical fiction Wasatch Summer was published by by Bonneville Books, April 2011. 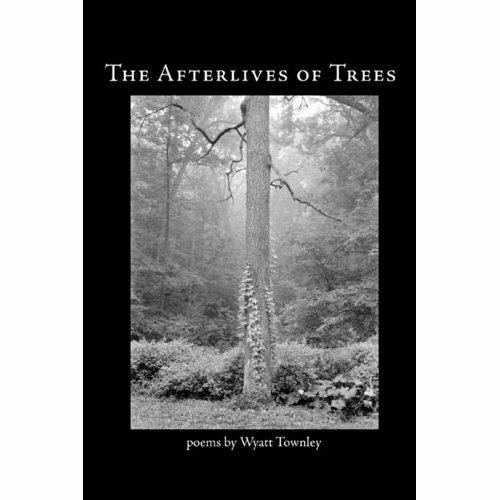 Townley’s The Afterlives of Trees is a collection of poems published by Woodley Press in 2011. The Johnson County Library will host a reception for Elizabeth C. Bunce on Sunday, March 22 from 2 pm to 4 pm at the Lackman Neighborhood Library. She’ll be honored for receiving the first ever American Library Association’s William C. Morris Award for her debut young adult novel, Curse Dark as Gold (Arthur A. Levine Books, March 208). Come listen to Elizabeth talk about Curse, enjoy refreshments and buy a copy of her amazing book.